PS1: I got a problem when trying to publish book 7 on Amazon… so I published Book 1-7 via Draft2Digital, you can buy the ebooks on Apple Books , Kobo, or Barnes&Noble . Because it would waste too much time to publish the 7 ebooks on these platforms one by one so I published the 7 ebooks as one, and the price is still $2.99 so that you won’t spend more money if you only want to read Book 7. You can click the name of the platforms above or here to buy the ebook. PS2: If you have bought any ebooks before on Amazon please rating the ebooks on the Amazon pages. It will be the best method to support us. Thanks a million. Three days ago, in Yun Xi’s room, when Yun Xi was in the Sky Tower. “Listen, you have a task.” Mei’er’s projection floated above Yun Xi’s head. In the front of her, three puppies sat under the sunlight and waited for her orders. Star Thunder, Star Fire, and Star Snow, they are the original three members of Mei’er’s proud Star Spirit Team. They obtained wisdom from the White Lotus Secret Wisdom and were taught by Mei’er personally, they had a bright future. Now, they had their first task from Mei’er. “Don’t worry, the task is simple. Even you can do it well.” Mei’er threw out her chest. Mei’er took out a paper card with confidence. This was the trump card she specifically made for the Star Spirit Team. Yes, this was Mei’er’s perfect plan. Therefore, the three puppies actually didn’t need to do anything, they just needed to control Yun Xi’s body, letting it move following its body memory. “Smile! Remember, no matter what happens, just keep your smile!” Mei’er raised her hand and ordered. “Woof!” Star Thunder raised her paws calmly. “Woof!” Star Fire raised her paws confidently. “Woof!” Star Snow raised her paws gracefully. Smile, just keep smiling. Even they could accomplish such a simple thing. “Ok, let the plan begin. Remember to smile!” Mei’er was satisfied with this perfect plan. She nodded three times rapturously and allocated the time of possessing Yun Xi’s body for the three puppies. In the morning, Mei stretched herself and looked at the maid uniform in confusion. She sniffed around with curiosity because she hadn’t got used to the strange and familiar body. She felt strange, because she never moved using a human body before. It took her over 10 minutes to learn how to stand up using only two legs. She felt familiar, because she smelt her favorite odor from this body. If it wasn’t because of this odor, she had died in her mother’s belly. As the big sister of the three puppies, she was born with a strong sense of responsibility. “…” Staying in front of the mirror, Mei (Star Thunder) used 15 minutes to get used to Yun Xi’s body and remembered not to walk with four limbs. This memory would also be inherited by her sisters, so they didn’t have to learn from the beginning again. In the mirror, the black-haired maid gracefully lifted the corners of her black dress and lowered her head in peace. “Ta!” She opened the door. A new day for the maid Mei started! This was the reaction of the common girls of the Starwing Knights. “Oh, it’s a pretty difficult training method. Mei, you dare to challenge it! You are awesome!” This was the reaction from the noble girls. Well, this was the reaction of Ling Ling. This was the Mei in the eyes of common girls. This was the Mei in the eyes of noble girls. Well, this was Ling Ling. Anyway, this excuse Mei’er looked for the three puppies was expedient. At least, the girls accepted it in the beginning. Of course, only one person was an exception. “…” Mei sipped a cup of warm milk and looked around with curiosity. It was a fresh experience for her. 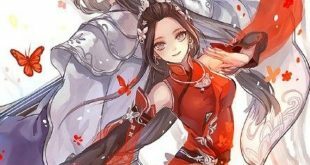 Before today, she could only stay in Yun Xi’s room all day, this was the first time she appeared in front of so many people in the form of a human. She didn’t understand a lot of things, she didn’t know how to ask and answer. However, she could feel a warm and cordial feeling from these girls, as if there were countless invisible threads that were connecting them together.